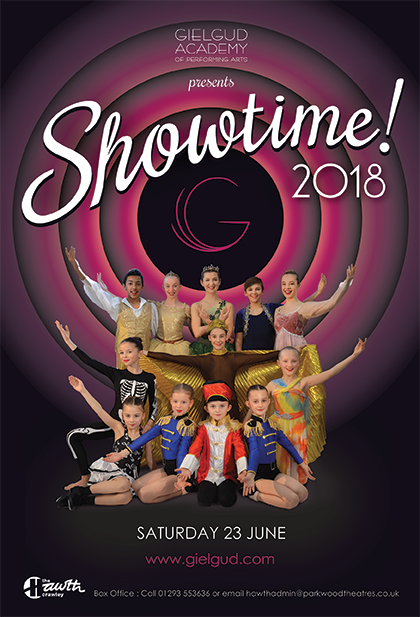 Former British Prima Ballerina Dame Beryl Grey, Eastenders TV and West End star John Partridge and Republica Rock Star Saffron, were guests of honour at our end of year production ‘Showtime 2018’ at the Hawth in Crawley on June 22nd. The performance included ballet, modern, tap, drama and musical theatre numbers and music played live by the seven piece GAPA Band onstage. 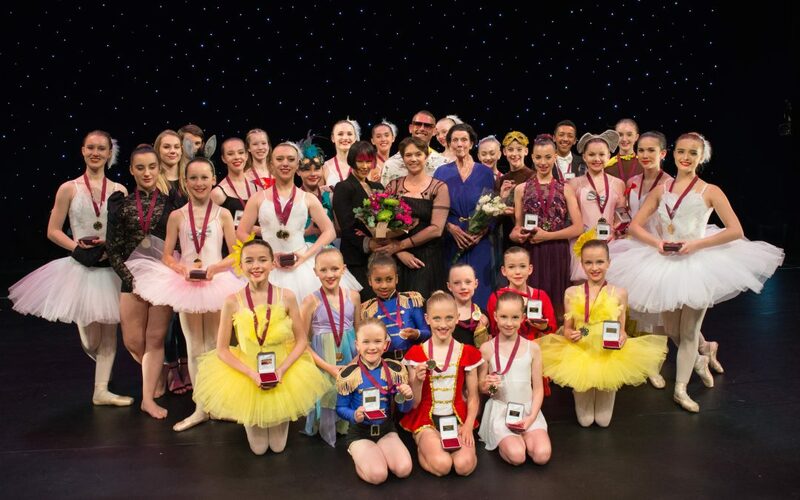 After the matinee and evening show came the annual prize giving ceremony where the VIPs presented over 40 medals, awards and cups to deserving pupils for progress and outstanding achievements. Good luck to our pupils for our upcoming performances at the Hawth on June 22nd. 1pm and 6pm. Tickets available from the Hawth box office.